Get Ready to Fight Again Lyrics from Baaghi 2 (गेट रेडी टू फाइट अगेन लिरिक्स in Hindi) is latest Hindi songs sung by Big Dhillon. Lyrics of song has been penned by Ginny Diwan. Music of song has been composed by Praanay. Song has been released under the label of T-Series. Get Ready to Fight Again Lyrics 2018 is a theme song of upcoming Movie Baaghi 2 Starred by Tiger Shroff and Disha Patani and Directed by Ahmed Khan. 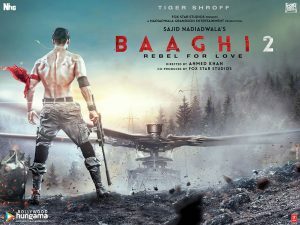 Baaghi 2 Lyrics Hindi Song You Can read in hindi and English Both Here.